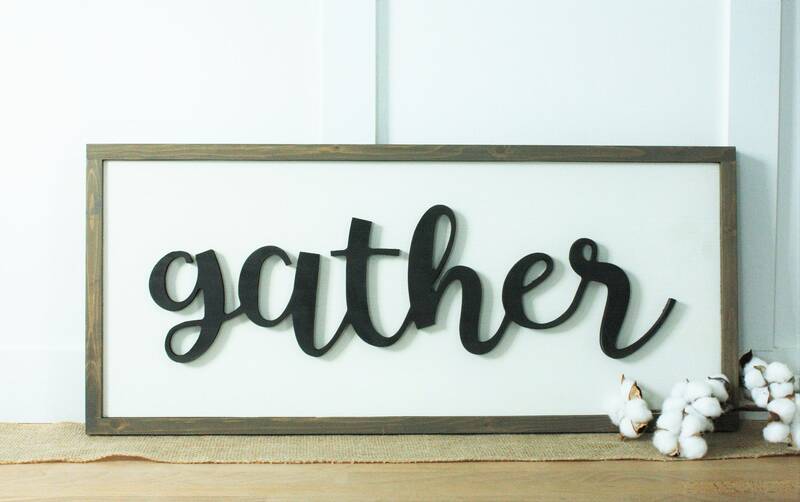 Beautiful, farmhouse-style wood sign with "gather" cut out of 1/2 birch plywood, painted black, and attached to the front of the sign. Then we finished it all with a rustic wooden frame in our vintage stain. 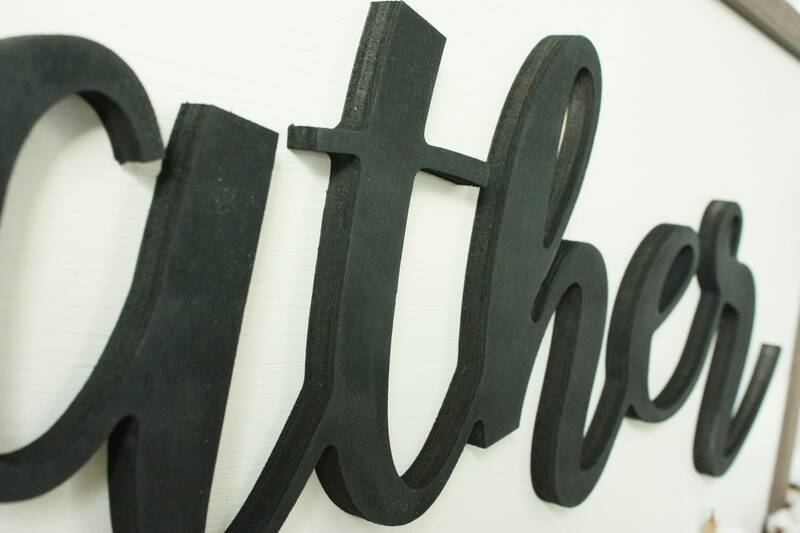 This sign measures approximately 13"H x 30"W and is ready to hang using the attached hooks, or will easily sit on a mantel. Please allow 1-3 days to package and ship your sign. We’ll send tracking information once it ships!